As part of upgrades to the ARES® program, ARRL will phase out traditional hard-copy report forms later this year in favor of an online system, ARES® Connect -- a new volunteer management, communication, and reporting system. The system (in beta testing since March in four ARRL sections with large ARES organizations) will allow ARES members to log information for ARRL Field Organization handling but does not change how ARES serves partner organizations. ARES training also is due for enhancement. At the Hamvention® ARRL Membership Forum in May, Great Lakes Division Director Dale Williams, WA8EFK, who chairs the ARRL Public Service Enhancement Working Group, discussed dramatic changes occurring among agencies in the emergency/disaster response sector and the transition to ARES Connect. In his presentation, "ARES Advances into the 21st Century -- a New Program, a New Mission," Williams outlined the vision for an ARES comprised of organized, trained, qualified, and credentialed Amateur Radio operators who can provide public service partners with radio communication expertise, capability, and capacity. Goals include aligning the ARES organizational structure with the National Incident Management System (NIMS) and Incident Command System (ICS). Emergency Coordinators (ECs) will continue to lead local ARES teams during an incident, with support from District and Section Emergency Coordinators. Changes would encompass additional mandatory training to include ARRL Emergency Communications courses and the now-standard FEMA NIMS/ICS courses IS-100, 200, 700, 800, with IS-300 and 400 for higher levels. Training levels attained would dovetail with three new levels of ARES participation. 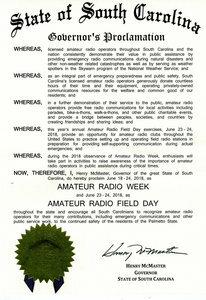 Each year as ARRL Field Day approaches, state and local governments traditionally take advantage of the opportunity to honor Amateur Radio in the form of various proclamations. This list of those that took part is not necessarily comprehensive. In Alabama, Governor Kay Ivey proclaimed June 18 - 24 as "Amateur Radio Week." A delegation of radio amateurs from around the state were on hand as Governor Ivey signed the proclamation. 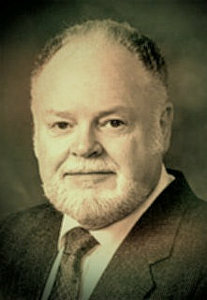 In Idaho, Governor C.L. "Butch" Otter has proclaimed June 18 - 24 as "Amateur Radio Week." The proclamation declares that Amateur Radio has proved its relevance in the modern world by providing emergency communications when other system failed in the wake of hurricanes and other disasters. 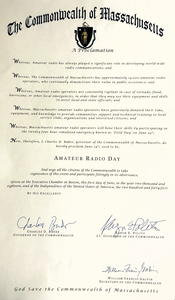 In Massachusetts, at the urging of State Senator Bruce Tarr, N1UIU, Massachusetts Governor Charles Baker signed a proclamation declaring June 24 as "Amateur Radio Day" in the Bay State. In South Carolina, Governor Henry McMaster has declared the week of June 18 - 24 as "Amateur Radio Week." He encouraged South Carolinians to recognize radio amateurs for "their many contributions, including emergency communications and other public service work, to the continued safety of the residents of the Palmetto State." In the state of Washington, Governor Jay Inslee proclaimed the week of June 18 - 24 as "Amateur Radio Week," encouraging recognition of the importance of Amateur Radio operators, "on whom we can rely during emergencies or disasters within the state." The Orange Park, Florida, Town Council designated June 18 - 24 as "Amateur Radio Week," recognizing Amateur Radio's role in furthering international goodwill as well as its public service in disasters, emergencies, and during public events. The Town Board of Cicero, New York, recognized the Liverpool Amateur Radio Club for its "fundamental role in disaster communications" for the town. The Town Board cited LARC's participation in Field Day at William Park on Field Day weekend. The City Council of Goose Creek, South Carolina, proclaimed June 17 - 23 as "Amateur Radio Week." Mayor Greg Habib said radio amateurs "further demonstrate their value in public assistance by providing free radio communications for local events." The City of Midland, Michigan, proclaimed June 18 - 24 as "Amateur Radio Week" in that community, recognizing "the efforts of ham radio operators, especially during times of emergency." Mayor Maureen Donker presented Midland Amateur Radio Club President Al Bailey with the proclamation on June 11 during a City Council meeting. The Volusia County, Florida, County Council has designated June 17 - 24 as "CQ Florida Amateur Radio Week," honoring Amateur Radio generally and the group CQ Florida in particular. The Council urged residents to honor Amateur Radio operators "for providing a bridge between peoples, societies, and countries by creating friendships and sharing information." 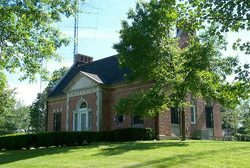 In Ohio, the Hancock County Commission designated June 18 - 24 as "Amateur Radio Week," noting that the Hancock AuxComm Team will host a Field Day event at Clarke Field in Newell. More than 1,400 clubs and groups in the US and Canada have let ARRL know of their plans to be on the air for Field Day by registering their locations on the Field Day locator page. W1AW has announced its Field Day bulletin schedule. Field Day participants can earn 100 bonus points for copying the special Field Day bulletin transmitted by W1AW or by K6KPH during its operating schedule on Field Day weekend. 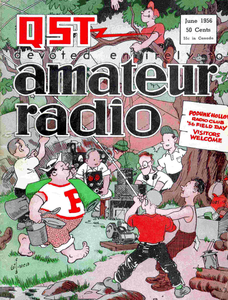 The Field Day bulletin must be copied via Amateur Radio. An accurate copy of the message must be included in your Field Day submission in order to earn the bonus points, which are available to all operating classes. Maritime Radio Historical Society station K6KPH will transmit the W1AW Field Day 2018 bulletin for the benefit of west coast stations. Class A Field Day teams can earn a 100-point bonus by appointing a Safety Officer to verify that all safety concerns on the Safety Check List (see the ARRL Field Day Packet Safety List) have been met. "[E]very Field Day group should appoint a Safety Officer to spot and mitigate the potential hazards that can challenge participants who naturally are often concentrating on speed of setup, and running up the Qs," advised ARES E-Letter Editor Rick Palm, K1CE, who also contributes the QST "Public Service" column. "Sometimes shortcuts are taken, accidents can happen, and occasionally serious incidents occur." He recommended taking time to make sure your Field Day venue and setup are safe, and the byword is "Think Safety First!" Here is the ARRL Field Day checklist for Safety Officer affirmation (and the 100-point bonus). "Taking Amateur Radio on Vacation" is the topic of the new (June 21) episode of the "ARRL The Doctor is In" podcast. Listen...and learn! 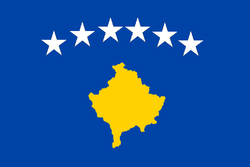 Kosovo, which won its battle to become a DXCC entity earlier this year, appears to have another fight on its hands. International Telecommunication Union (ITU) Secretary-General Houlin Zhao has determined that the Z6 call sign prefix was never allocated to Kosovo. The Secretary-General issued his finding in the wake of a March 16 inquiry from Serbia, from which Kosovo declared independence 10 years ago, the last piece of the former Yugoslavia to do so. Serbia has continued to reject Kosovo's secession. "ITU has not allocated call sign series Z6 to any of its member states," Houlin Zhou said. "Consequently, the utilization of call signs series Z6 by any entity without a formal allocation and consent of the ITU represents an unauthorized and illegal usage of this international numbering resource." The Secretary-General's statement was reported in ITU Operational Bulletin No. 1149. He cited Article 19 of the Radio Regulations, which states that the management of international series of call signs is an ITU prerogative. "Call sign series can be allocated only to the administrations of the ITU member states by World Radiocommunication Conferences or, between conferences, by the ITU Secretary-General," asserted Houlin Zhou. Earlier this year during Mission Goodwill Kosovo, SHRAK headquarters station Z60A mounted a massive special event operation to celebrate Kosovo's addition to the DXCC List, as well as its 10th anniversary of independence. 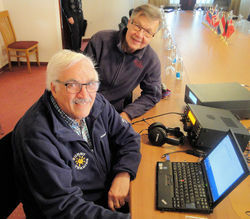 Guest operators included Henri, OH3JR (left), and Jaakko, OH1MA. Houlin Zhou also informed the International Amateur Radio Union (IARU) that the ITU did not authorize use of the Z6 prefix and asked the IARU not to include Z6-prefix call signs on its website, where they have appeared since the 2015 admission of Shoqata e Radio Amatoreve te Kosoves (SHRAK) as an IARU member-society. As a sector member of the ITU, the IARU complied with the request and advised SHRAK. Kosovo joins a short list of DXCC entities where radio amateurs use "unofficial" call sign prefixes. The list also includes Western Sahara (S0) and the Sovereign Military Order of Malta (1A). Read more. The KH1/KH7Z Baker Island DXpedition team is on its way to Baker Island. The DXpedition commemorates the 81st anniversary of aviator Amelia Earhart's disappearance on July 2, 1937, near Baker and Howland islands, as well as "the commitment and sacrifices" of the Hui PanalÄ'au (loosely translates to "society of colonists") -- young high school graduates from Hawaii who were sent to colonize Baker, Howland, and Jarvis islands from 1935 until 1942, and who began construction of a runway for Earhart to land in 1937. The islands were bombed the day after Pearl Harbor, killing two, and the colonists were removed by the US Coast Guard in 1942. 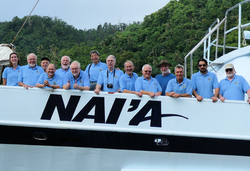 The enthusiasm level was high, as the KH1/KH7Z team departed Pago Pago, American Samoa, on June 20 aboard the Nai'a, en route to Baker Island. The DXpedition is scheduled to fire up around 0000 UTC on June 28, with eight operating positions active on all open bands. 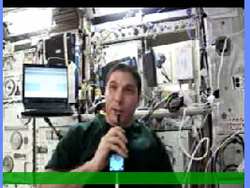 The team will be on the air around the clock -- and on 20 meters continuously -- for the following 10 days. The KH1/KH7Z team consists of 14 operators. The KH1/KH7Z DXpedition has pledged to adjust to the propagation at hand. Baker Island is the fifth Most-Wanted DXCC entity, according to Club Log. The KH1/KH7Z Team departs for Baker Island. As reported, KH1/KH7X will employ FT8 digital mode to find openings that might not be obvious and to serve as a beacon. "When we find an opening, we will put as many radios/modes/ops on as we can," the team said. The KH1/KH7X group helped to develop the WSJT-X software version that incorporates an FT8 "DXpedition Mode" (version 1.9.0). The DXpedition said using FT8 DXpedition mode may allow the operators to "expand" the bands they are able to use at this point in the solar cycle. The DXpedition's band plan page includes a guide to using FT8 DXpedition Mode. The Dateline DX Association (DDXA) is sponsoring the DXpedition to Baker Island. The Pacific Islands Refuges and Monuments Office of the US Fish and Wildlife Service granted the DDXA permission to land and operate on the uninhabited island. Read more. Experimental operations now under way on HF appear aimed at leveraging low-latency HF propagation to shave microseconds from futures market trades and gain a competitive edge in a field where millionths of a second can mean winning or losing. On June 18, Bloomberg reported on a secretive antenna facility near Maple Park, in Kane County, Illinois, and speculated that futures traders might be looking to take advantage of lower-latency HF propagation over state-of-the-art microwave links and undersea cables, where even the slightest path delay could compromise a transaction. The facility is not far from a major futures data center. 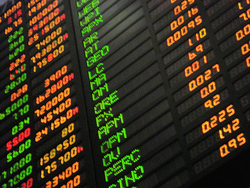 As the Bloomberg article explained, "Rapidly sending data from there to other important market centers can help the speediest traders profit from price differences for related assets. Those money-making opportunities often last only tiny fractions of a second." Radio amateur Bob Van Valzah, KE9YQ, said in a May blog post that he recently stumbled onto the first evidence of HF radio futures trading at a site in West Chicago, Illinois. There, he spotted HF log-period dipole arrays on a pole, and a microwave dish he determined was aimed at a Chicago Mercantile Exchange (CME) data center. Additional research led him to the antenna facility in Maple Park, which also sported a microwave dish apparently aimed at the CME data center. Two approximately 170-foot towers on the site support a directional wire array for HF. Van Valzah is a performance engineer on leave from the high-frequency -- no pun intended -- trading field. 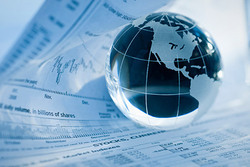 Sites listed on the license are Aurora and Chicago, Illinois, in addition to Homer, Alaska, and Secaucus, New Jersey -- home to several financial firms and right across the Hudson River from many more in New York City. Part 5 Experimental license WI2XAJ has been assigned to Toggle Communications, which is using the West Chicago site and appears to be experimenting with a similar system from other sites. Other entities may also be conducting similar experiments. The Experimental-licensed systems use a variety of frequency shift-keying modes, including FSK, AFSK, QPSK, and 8-PSK, on frequencies ranging from about 6 MHz to 24 MHz and power levels from 20 kW ERP to nearly 50 kW ERP, depending on the Experimental license in question. Van Valzah pointed out in his blog post that, while HF is low bandwidth, unreliable, and expensive, "you can't beat it for [low] latency." ARRL reached out to the point of contact listed on the WH2XVO application but has not heard back. The developer of the groundbreaking Curtis Morse keyer chip, John G. "Jack" Curtis, K6KU (ex-W3NSJ), of Granite Bay, California, died on June 4 after a long illness. An ARRL member, he was 87. Growing up in Bradford, Pennsylvania, Curtis became fascinated with the "magic" of Amateur Radio as a youngster, and it would eventually become his career. After receiving a Bachelor's degree in electrical engineering from Penn State in 1952, he was employed by Sperry Rand, served in the US Navy in Japan, and worked for Corning Glass -- earning three patents -- and for Signetics. Curtis started Curtis Electro Devices on the side in 1968 and marketed his prototype electronic Morse iambic keyer -- the EK-38 -- which had "dit" memory. The follow-on EK-39 had "dah" memory and weight control, and later models offered a small scratch memory. The ARRL/TAPR Digital Communications Conference (DCC) seeks technical papers for presentation and publication in the Conference Proceedings. Conference presentation is not required for publication. The conference will be held September 14 - 16 in Albuquerque, New Mexico. Submit papers by July 31 to Maty Weinberg, KB1EIB, ARRL, 225 Main St., Newington, CT 06111, or via email. The ARRL/TAPR DCC is an international forum for radio amateurs to meet, publish their work, and present new ideas and techniques. Topics include, but are not limited to, software-defined radio, digital voice systems, digital satellite communications, precision timing, digital signal processing, APRS, spread spectrum, networking over Amateur Radio, wireless networking protocols, and topics that advance the Amateur Radio art. Submission guidelines are on the TAPR website. 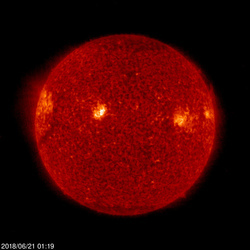 Tad Cook, K7RA, Seattle, reports: On June 20, Spaceweather.com reported the sudden emergence of sunspot AR2715, and the sunspot number on that day shot up to 54. The average daily sunspot number for the June 14 - 20 reporting week was 25.7, up from 4 the previous week. Average daily solar flux rose from 69.4 to 74. Solar flux was 82.1 on June 20. We have not seen numbers like this since last September. This is good news just before ARRL Field Day, assuming the activity does not produce any geomagnetic disturbance. The 45-day forecast of planetary A index and solar flux has not been available online since June 18 due to a problem at the US Air Force space weather operations, and the last forecast did not predict this sudden rise in solar activity. Predicted solar flux from the June 18 forecast is 74 on June 21; 72 on June 22 - 23; 70 on June 24 - 30; 68 on July 1 - 6; 70 on July 7; 72 on July 8 - 13; 74 and 72 on July 14 - 15; 74 on July 16 - 20; 70 on July 21 - 27, and 68 on July 28 - August 2. Predicted planetary A index is 5 on June 21-23; 12, 8, 8, 15, 28, 18, and 10 on June 24 - 30; 5 on July 1 - 14; 8 on July 15 - 16; 5 on July 17 - 20; 8 on July 21 - 22; 5, 15, 28, 18, and 10 on July 23 - 27, and 5 on July 28 - August 2. We saw some heightened geomagnetic activity on June 18 UTC, when the K index went to 5. Later in the day, Alaska's College K index hit 6 over two of the eight 3-hour periods for the day. College A index was 33. Sunspot numbers for June 14 - 20 were 16, 13, 13, 15, 28, 41, and 54, with a mean of 25.7. The 10.7-centimeter flux was 72.4, 70.6, 70.5, 72.3, 73.7, 76.6, and 82.1, with a mean of 74. Estimated planetary A indices were 5, 4, 3, 5, 19, 6, and 5, with a mean of 6.7. Estimated mid-latitude A indices were 7, 6, 4, 7, 20, 6, and 7, with a mean of 8.1. Submit your reports or propagation observations.